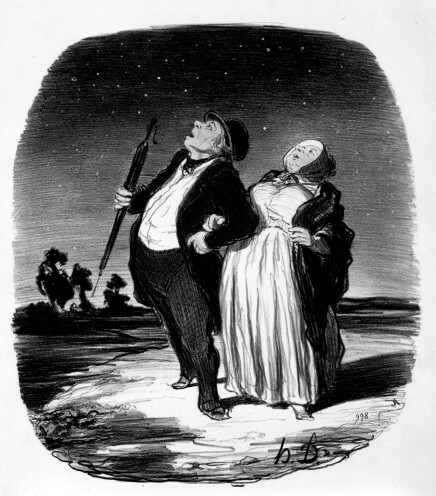 Honoré Daumier’s (1808-1879) satirical commentary sometimes extended beyond the confines of the earthly world to the skies and to celestial bodies. Scientists and the general public were fascinated with cosmic occurrences during the nineteenth century. Stargazing became a popular evening activity among the bourgeoisie and some were lucky enough to journey closer to the heavens in newly-invented hot air balloons. Despite the increased scientific knowledge, superstitions and myths about the moon, sun, eclipses, and comets remained prevalent in the nineteenth century. For example, Parisians braced themselves for the end of the world with the arrival of Brorson’s Comet in June 1857. 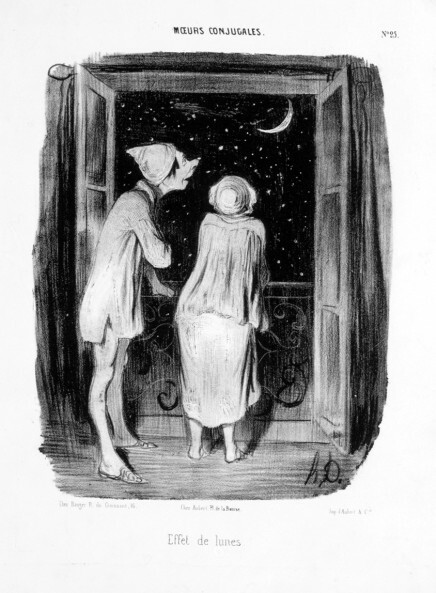 Drawn from the Armand Hammer Daumier and Contemporaries Collection, this exhibition takes a humorous and intriguing look at the wonders of the skies.